From its humble beginnings as an "Automatic Continuous Clothing Closure" invented in 1851 by Elias Howe to the "Clasp Locker" patent in 1893 and marketed by Mr. Whitcomb Judson, the zipper as we know it today, had little commerical success. It was not until Whitcomb partnered with businessman Colonel Lewis Walker—together they launched the Universal Fastener Company to manufacture the new device. The "Clasp Locker" made is debut in 1893 at the the Chicago World's Fair. Gideon Sundback, an electrical engineer who worked for the Universal Fastener Company, worked on the design by increasing the number of fastening elements. His design had two facing-rows of teeth pulled into a single piece by the slider and he increased the opening for the teeth. 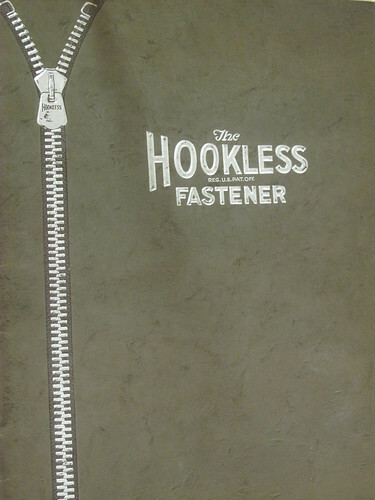 By December 1913 he had created the modern zipper and in 1917 the patent for "Separate Fastener" was issued. 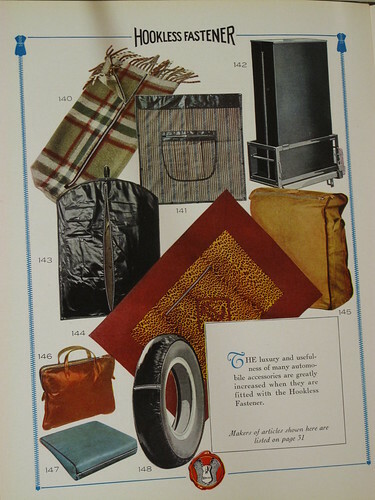 It wasn't until the B.F. Goodrich Company decided to use Gideon's fastener on a new type of rubber boot—they renamed the fastener to zipper and the name stuck. The major uses for the zipper were for boots and tobacco pouches. It would be another twenty years before the fashion industry would promote the closure on garments. The upswing for the zipper came in 1937 when the zipper beat the button in the 1937 "Battle of the Fly" and french fashion designers began to rave over the zipper. Esquire magazine declared the zipper the "Newest Tailoring Idea for Men" and of zipper's many virtues it would exclude the "possibility of unintentional and embarrassing disarray." Talon, inc. : a romance of achievement. An abridgement of the original manuscript by James Gray to mark the fiftieth anniversary of the company ; [edited by Stanley H. Brown].